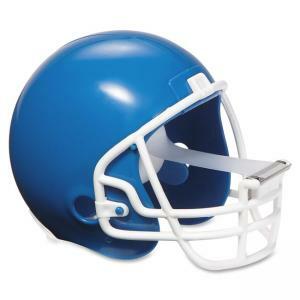 Scotch Helmet Shaped Tape Dispenser - Holds Total 1 Tape(s) - 1\"
Get the Scotch Helmet dispenser and add some fun to your office, home or school. The helmet dispenses your favorite Scotch office tapes and is for use with a 1" core tape that can be up to 1500" long. The dispenser is refillable and designed for two-handed dispensing. Helmet is made of tough, high impact-resistant plastic for long-lasting service. Dispenser includes one roll of 3/4" x 350" Scotch Magic Tape.